The Center / GLBT Community Center of Central Florida promotes and empowers the GLBT Community and its allies through information, education, advocacy and support. 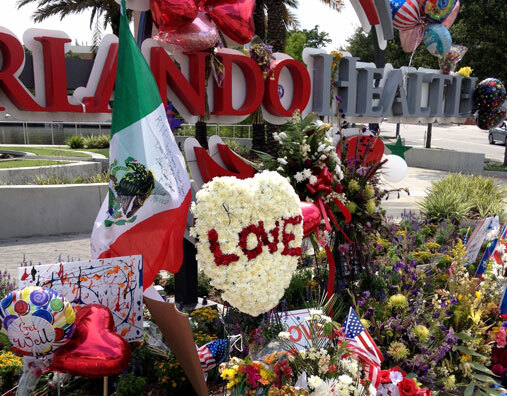 City of Orlando is providing community support, information and coordination. Equality Florida works towards equality and justice for Florida’s Lesbian, Gay, Bisexual & Transgender Community. 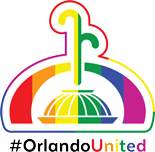 Orlando United Assistance Center provides needs assessment, information, support and resources to those directly affected by the Pulse tragedy. 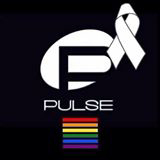 Pulse Orlando Club site lists additional ways to support employees and victims of the tragedy. Love wins. We believe that. We don’t give into hatred by becoming hatred. The unthinkable has happened, in our community, to our friends, neighbors, loved ones and co-workers. We will, each in our own way, be forever impacted by this tragedy. We will each grieve in our own way and in our own timeline ... one of the ways I grieve is to write. I — like so many in Orlando and elsewhere — have been on a roller coaster ride of emotions: one minute incredible sadness as this happened not just in Orlando but to my LGBTQ community … to sheer pride at the outpouring of support from both friends and strangers. We offer these modules as part of the Diversity & Inclusion eLearning Series. This issue of The Ouch Files is dedicated to the 49 individuals who lost their lives during the Pulse tragedy in Orlando, the 53 wounded in the attack, and to their families and friends. We offer our heartfelt condolences. In their honor, we recommit to working towards a safe and inclusive world based on equality and respect for all people. On Monday, June 13, my dad checked into Orlando Regional Medical Center (ORMC) in downtown Orlando for abdominal surgery. This is a familiar place. I was born in this hospital. My nieces were born here. I’ve sat with friends in the cancer center. My mom had emergency surgery here. When I suffered amnesia eight years ago, my husband, Frank, brought me here. I was in the ER when my heart stopped. When it did not restart, they resuscitated me. I owe my life to this hospital. It feels different now. The hospital entrances are guarded by the Orlando Police Department. Phone calls into ORMC are recorded. Media trucks with their satellite dishes line the entrance. From my father’s 10th floor window we can see Pulse, site of Sunday’s early-morning mass shooting, three short blocks down Orange Avenue. There are barricades at Kaley Street. Beyond that, flashing lights, police, sheriff, FBI ... and the Pulse nightclub. And beyond that, more media trucks and tents. A local news helicopter hovers like a dragonfly. My eyes follow Orange Avenue three miles further south to our neighborhood where we lived for 23 years. I think about people who might have been at Pulse. We, like everyone else, wait for the victims’ names to be announced. I make phone calls and check Facebook to learn that friends are safe. As time passes, we are horrified to learn that 20 have died in the mass shooting. The number rises to 49. I sit with my dad for eight days. During that week, the ORMC medical team performs more than 50 surgeries on victims of the shooting. One afternoon I overhear the staff being instructed outside Dad’s room: “At dusk, close the blinds in the patients’ rooms to keep the media from peering in from helicopters.” Judging by the comings and goings of OPD officers and Puerto Rican families gathered in the hallway, I believe the patient next door and two others nearby are Pulse survivors. Out of respect, I don’t ask. But when I pray for Dad, I pray for them, too. And once again, I thank God for this hospital and all those who work here. Although I grew up in Orlando, I don’t know what it was like to grow up gay in Orlando. In the world of “us” and “them,” LGBT people were “them.” My early education about “them” came from jokes, stereotypes, slurs and misinformation. I clearly remember my first friend who was “out” – Robert K. I was 21. Robert was my trainer and “lead” at Walt Disney World Resort. He was knowledgeable, great at his job, and he made work fun. Thanks to Robert, the line between “us” and “them” began to fade. Each afternoon we watch the storms move across the horizon. On the day the President and Vice President come to town, a brilliant rainbow arches over Orange Avenue. When we leave the hospital late each night, “The City Beautiful” is exceedingly so. Buildings are illuminated in rainbow colors or wear huge rainbow banners. People gather at the vigil sites along Orange Avenue, placing flowers, candles, banners, stuffed animals and flags. Forty-nine white crosses appear, each with the name of a victim. Mourners inscribe their messages on the crosses. On Father’s Day, Dad is still in the hospital. But he will be home a few days later, and in time for his 87th birthday. His life will return to normal, or almost so. Others are not so lucky. I feel a tremendous loss for each person whose life was destroyed on June 12. I feel an aching sadness for their friends and partners and families. I’m distressed for Orlando, for the LGBTQ community, and for our country and our world. I’m searching for a personal way to respond to what has happened in Orlando. I don’t know what I think yet, but I know what I hold onto, what I’ve always believed — love wins. The Ouch! Files, Vol. 7, No. 1, www.DiversityInclusionCenter.com.